Posted on 03/26/2018 by Mickey McCarter	in Live Review and tagged Bebe Rexha, Cam, country, hip hop, house, IMP, Lizzo, protest concert, rap, Stay Amped, The Anthem. An estimated 800,000 activists marched to call for gun control laws in DC Saturday, and quite a few turned out the previous night to flood The Anthem with a night of music and messages with Stay Amped: A Concert to End Gun Violence, in a concert presented by IMP on Friday. The artists performing at The Anthem proved as diverse as those young activists. IMP staged the performances to benefit two anti-gun-violence organizations: Everytown for Gun Safety and Giffords: Courage to Fight Gun Violence. Throughout the show, student protestors spoke between musical acts. For example, Nza-Ari Khepra, founder of Project Orange Tree, a youth anti-violence organization, opened the program in remembrance of her friend, Hadiya Pendleton, who at 15-years old was shot and killed on the southside of Chicago less than two weeks after performing as a drum majorette at Barack Obama’s second inauguration. Formed in response to such gun violence, Project Orange Tree took its name from the color favored by hunters. Orange, said Nza-Ari, means don’t shoot us. As eloquent were the young presenters over the course of the evening, they were matched by musical performers from a diverse array of genres, including country, hip hop, dance, and more. Parklife DC caught the opening acts of the evening prior to another commitment, but we understand the crowd at The Anthem were not disappointed by headliners Halsey, G-Eazy, and Fall Out Boy. Ramping up to those acts, the audience welcomed performances from Cam, Lizzo, and Bebe Rexha, who each brought a different style along with a sincerity to their songs. Country artist Cam began the musical program prior to embarking on her own Listening Room Series Tour this spring. 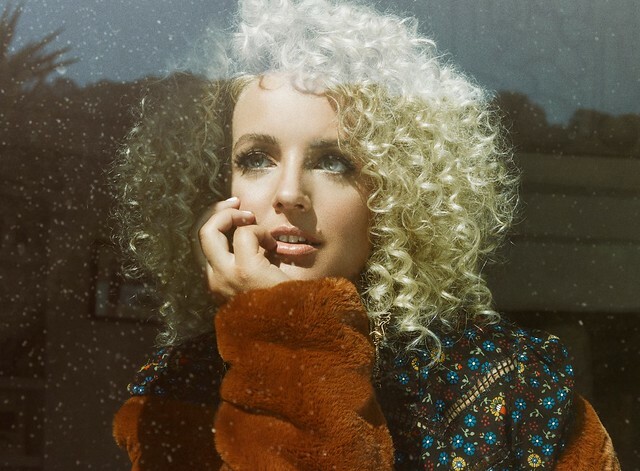 Cam brought the intimacy for which she is known to the expansive stage of The Anthem, and she will be returning to our area for a sold-out show at Jammin’ Java on May 10. Cam, whose full name is Camaron Marvel Ochs, recently released “Diane,” her latest single from her sophomore album, slated for release later this year. She also moved through selections “No One Gets to Heaven If Anyone Else Gets Left Behind,” and “Burning House.” In the middle of her brief set, Cam gracefully covered “Palace” by Sam Smith, demonstrating a sensitivity that may have crossed genres but surely united diverse artists with soul. Soon after Cam’s laidback grace, hip hop artist Lizzo blasted onto stage with several dancers to twerk their way through her well-received hits, including “Worship,” “En Love,” and “My Skin.” Lizzo, born Melissa Jefferson, is perhaps best known for her 2015 second studio album, Big Grrrl Small World, which features several of those songs. Lizzo’s messages of self love, coupled with a lot of shaking of grooving with her twerkers, proved a big hit with the largely Millennial crowd, who cheered on Lizzo’s big bluesy voice and swaggering attitude. Bebe Rexha, an extensive collaborator with other artists, served up some dance and house selections, including “Take Me Home,” “Hey Mama” (a song by David Guetta on which she features), and “I Got You,” the popular lead single from her 2016 EP, All Your Fault Pt. 1. Bebe will release Expectations, her debut full-length album, this summer via Warner Bros. Records. Bebe had a magnetic stage presence and made good use of the stage while belting out songs in her signature style, and we predict she will be a big draw on her own future headlining tours. “Stay Amped” is surely a clever name in call for young activists to remain connected, but it surely tapped a good bunch of musicians who are going to be doing some big things this year. “Stay Amped,” indeed!